Prime Minister Dr. Manmohan Singh met President Pranab Mukherjee at the Rashtrapati Bhavan on Saturday afternoon and submitted his resignation of his Council of Ministers. 81-year-old Dr. Singh drove to the Rasthrapati Bhavan from his official residence 7, Race Course Road, to submit the resignation of his Council of Ministers. 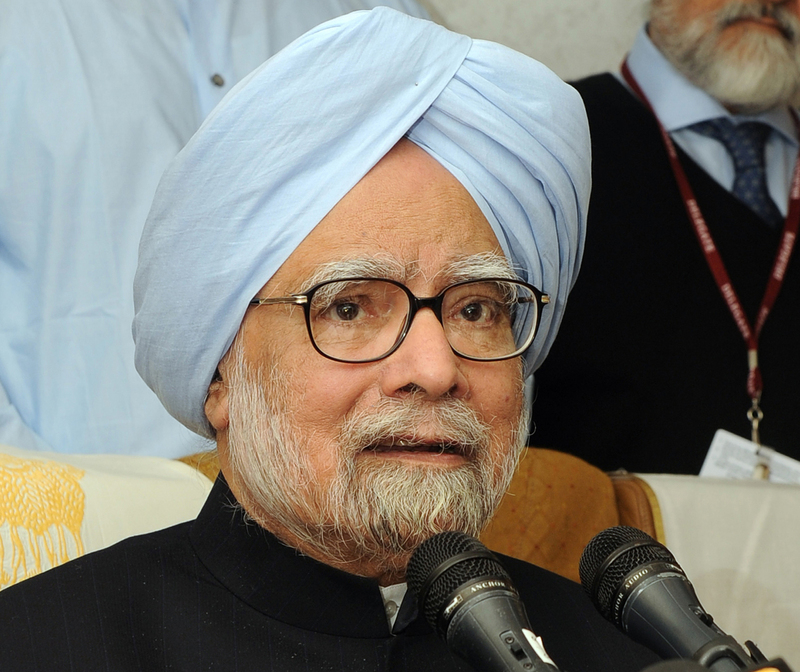 “The President has accepted the resignation of Manmohan Singh and has requested him and his colleagues to continue till the new government is formed,” a Rashtrapati Bhavan statement said. The Prime Minister and Mukherjee, who had worked in Dr. Singh’s Cabinet as Finance, Defence and External Affairs Minister, exchanged bouquets. Dr. Singh handed over his resignation and the recommendation of the Cabinet for dissolution of the 15th Lok Sabha, which is just a formality. After their brief meeting, Mukherjee, in a rare gesture, came to the forecourt of the Rashtrapati Bhavan to see off Singh. They shook hands for some time and were seen in an intimate conversation. Dr. Singh then also took leave of the Rashtrapati Bhavan officials, including the President’s Secretary Omita Paul. Earlier on Saturday morning, the Cabinet met and recommended dissolution of the Lok Sabha. The Cabinet adopted a resolution lauding the role of Dr. Singh.